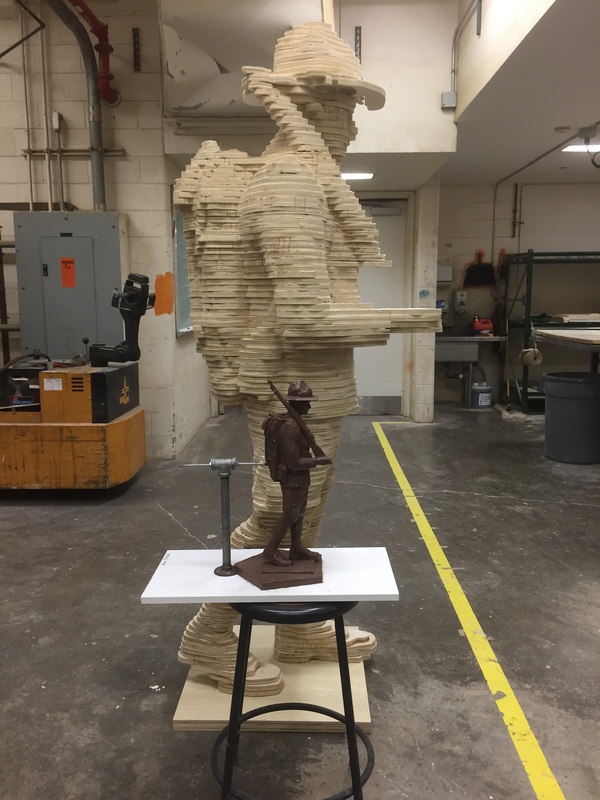 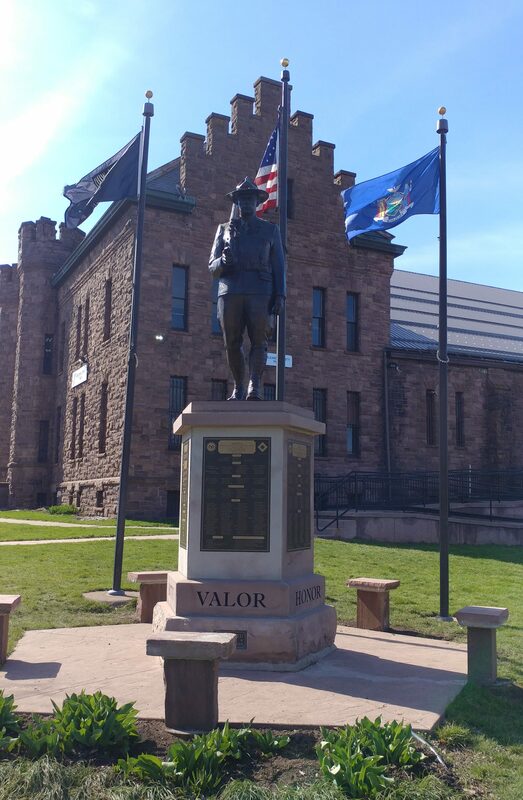 Sculptor Brian Porter recently sent us images of the progress he is making on Company F Memorial’s statue form. 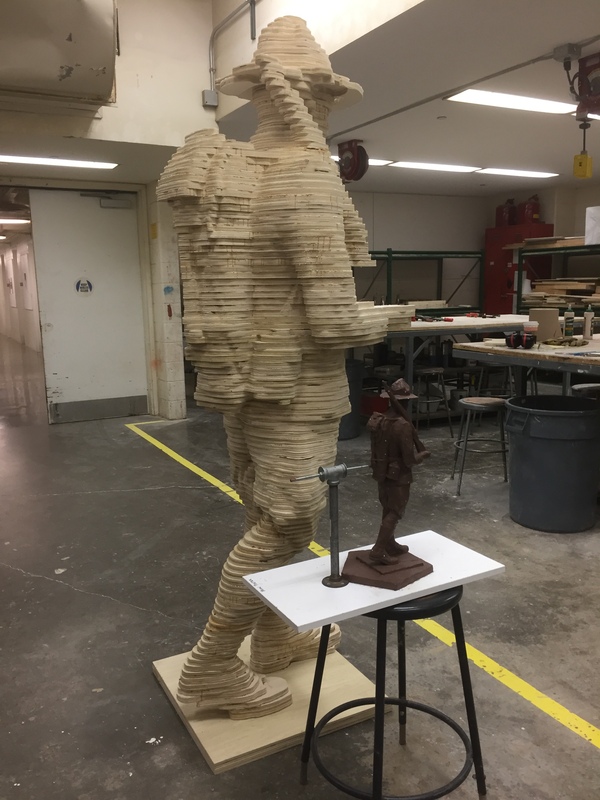 He is trying a new process whereby the miniature clay model (featured in Slide #1) is scanned using 3D technology, and data sent to a CNC machine to cut out thin plywood slices that are then glued together. 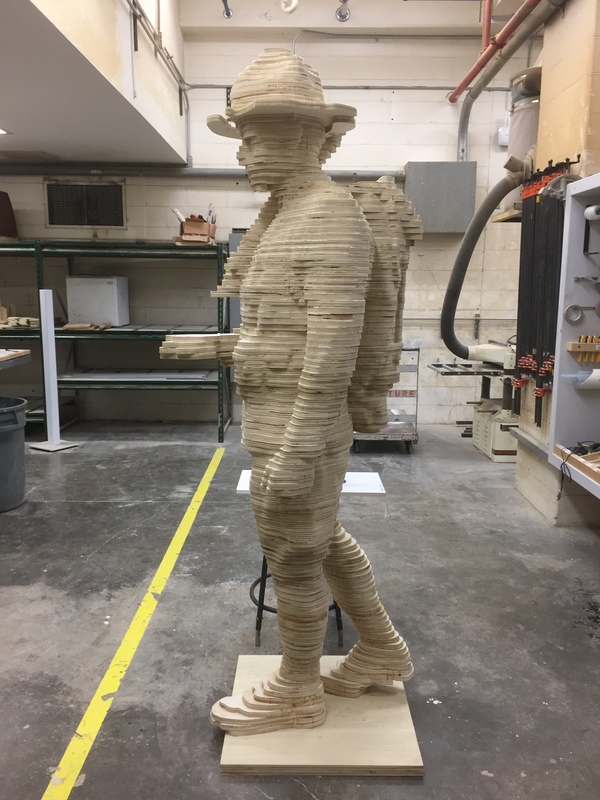 The wood structure is merely a subframe that the clay will be on top of and covered completely at final execution. 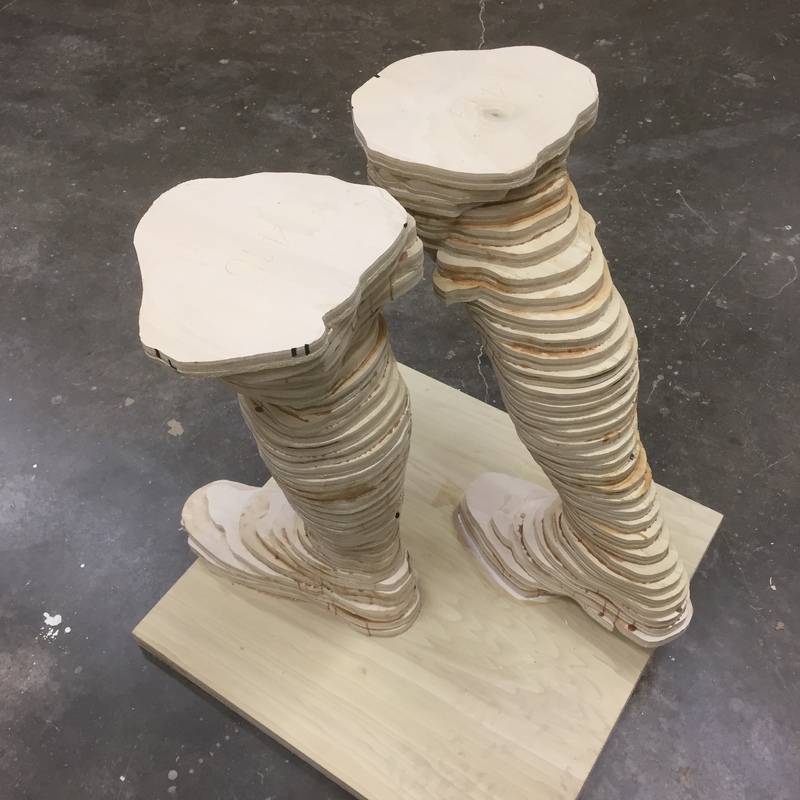 “It was a really interesting process to get to this point and many people that viewed it on campus were excited about the look of this stage of the structure,” Brian reported. 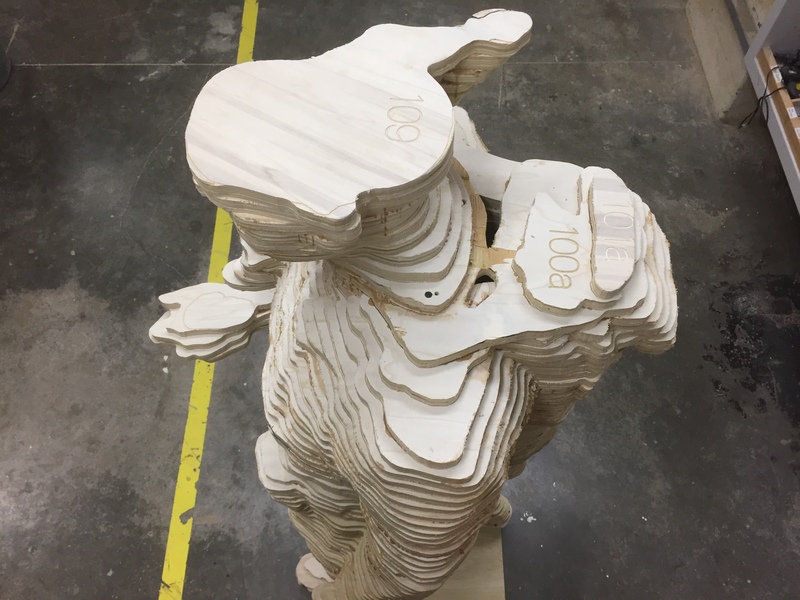 The next step will be to begin carving and prepping the surface for clay modelling. 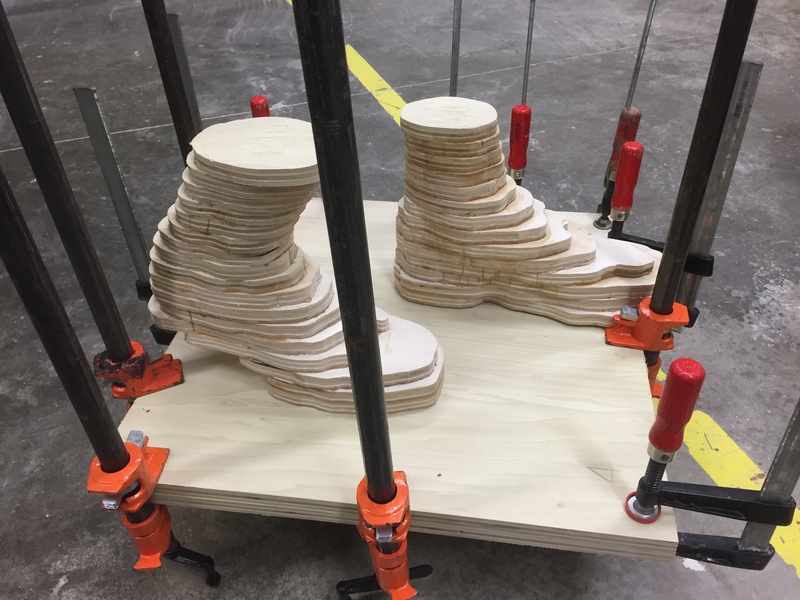 Below is a slideshow featuring several images of the CNC machined plywood slices that have been glued together in sections of about 10 pieces each. 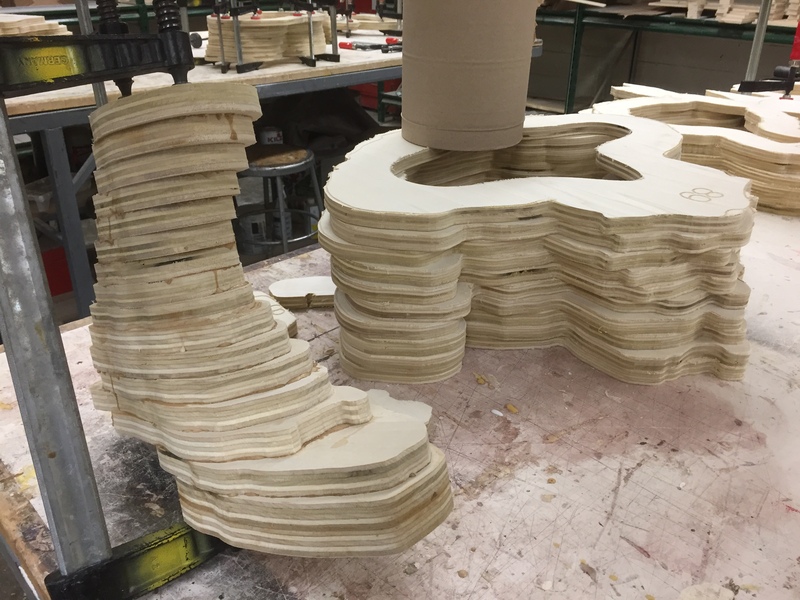 Brian anticipates that they will be easier to model and mold in this way. 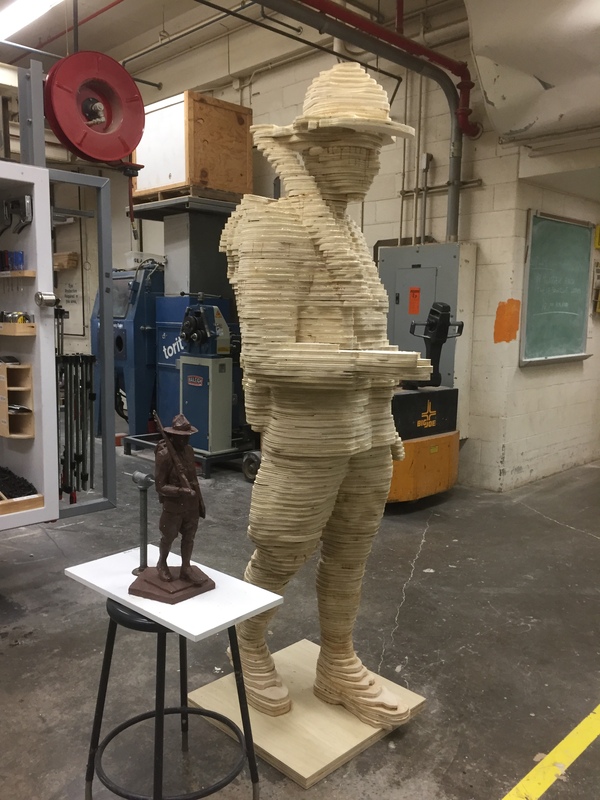 The first image is the miniature clay model which is about 20″ high. 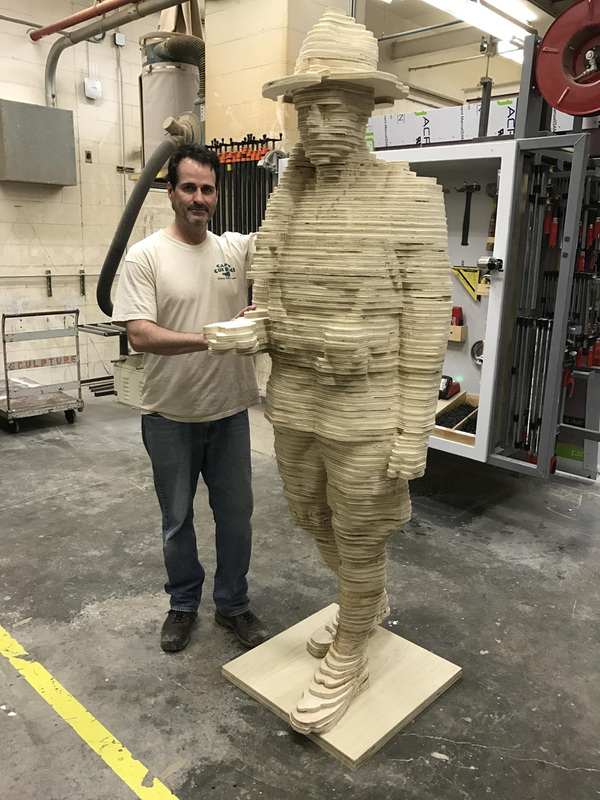 Notice the photo showing the full size form with Brian standing next to it which better demonstrates the size the statue will be. 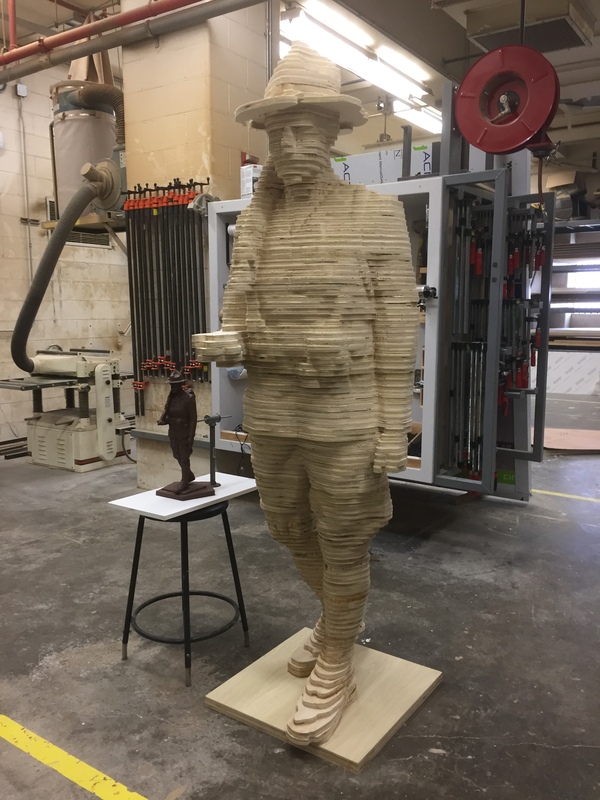 These sections will remain dry fit only for quite some time while he models the work in sections. 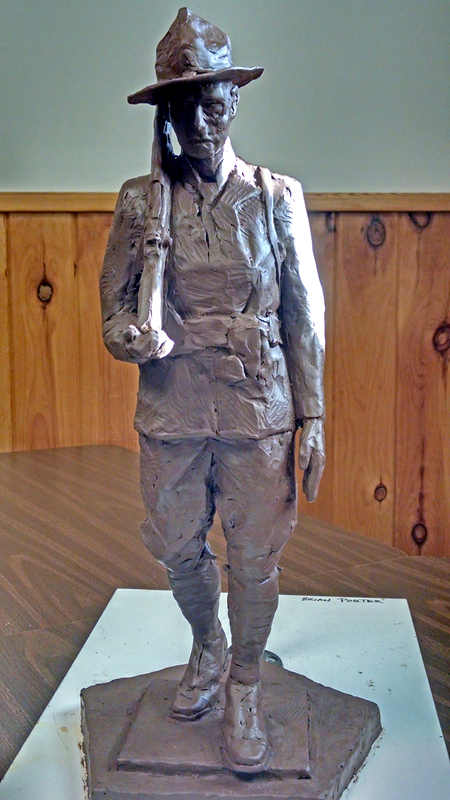 Approximately 20" high, this is the miniature clay model of the Company F Memorial statue, created by Brian Porter.